What are the benefits of education? The acquisition of knowledge through education can sometimes be a struggle. 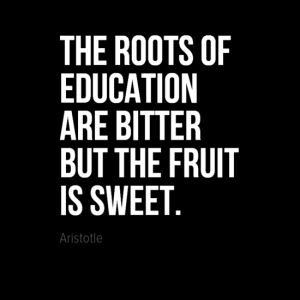 The author of this week’s quote reminds us that all education can be a struggle it will eventually pay dividends. 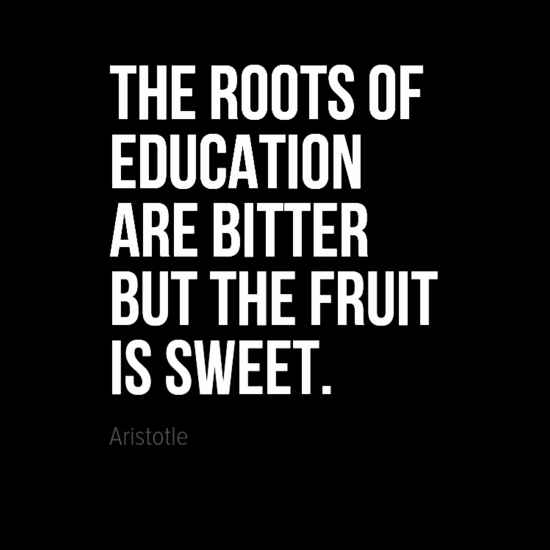 Aristotle was an ancient Greek philosopher and scientist. His writings cover many subjects including physics, biology, zoology, metaphysics, logic, ethics, aesthetics, poetry, theater, music, rhetoric, linguistics, politics and government.